Visit two ancient capitals outside of Bangalore with ease on this full-day tour. Depart from your Bangalore hotel and travel in a private vehicle or motorcycle to Belur. 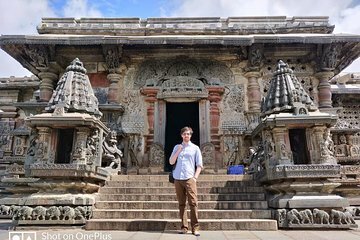 In the company of your guide, stop at Chennakesava Temple and learn about its history. After a pause for lunch, continue to Halebid and explore two temple complexes.